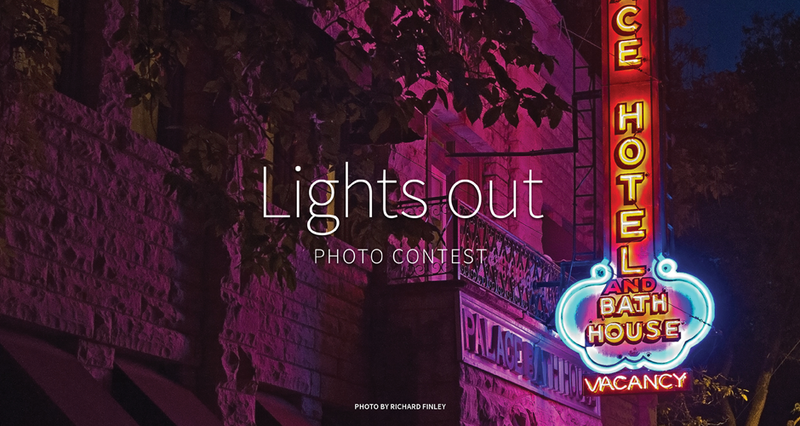 This challenge is for the after-dark crowd. Let's see your best night photography. The bar lit up with neon, the reflections of a streetlight on a rain-soaked street, the warm glow of Christmas lights lighting up a living room, the moon gently illuminating your backyard, or the soft light filling an empty pool after dark. You pick the people's choice. We'll pick the editors' choice.